St. Patrick’s Day is around the corner, and for many of us, that means it’s time to drink a bunch of stout beer. Irish Pubs will all be crowded with revelers, so skip the crowds and huge lines at the bar by brewing your own with our Irish Stout recipe and have it in time for the holiday! 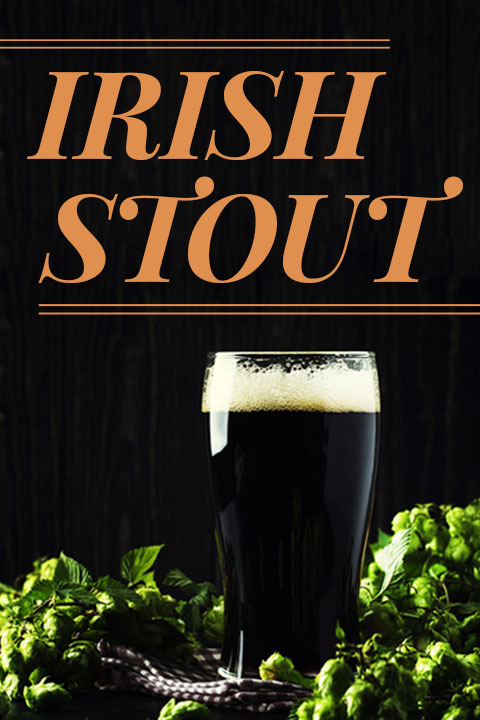 Irish Stout is a very dark, almost black beer with a pronounced roasted flavor that can be dry and slightly chocolaty, but is often similar to coffee. Stout beer on draft is usually creamy due to being dispensed with a nitrogen/CO2 blend but bottled versions do not have that character. The nitrogen blend also gives stout beer the famous cascading head that it is known for. It has a medium-light to medium-full body with low to moderate carbonation and is a remarkably smooth beer despite its high hop bitterness and the significant portion of dark grains present. This stout recipe is a partial mash recipe that gets the majority of its fermentables from Liquid Malt Extract. 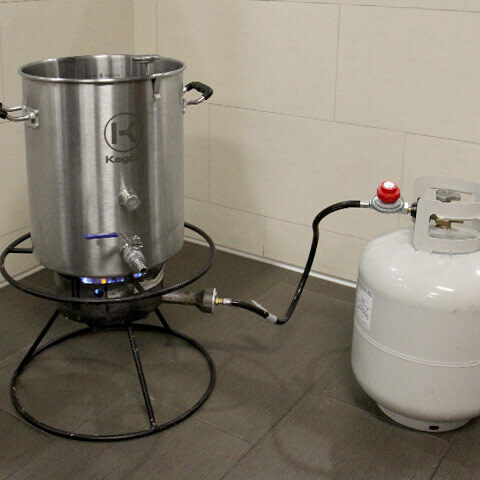 To start, fill a brew kettle with 3-4 gallons of water and apply high heat with a floor burner. Place your steeping grains in a mesh straining bag and submerge it in the water but make sure it does not rest on the bottom of the brew pot. Bring the water to a boil but remove the grain sack at 155 °F. Some brewers would leave the sack in for 30 minutes at 155 for partial extraction of sugars from the steeping grains but this step is not needed if you are short on time and in a hurry. 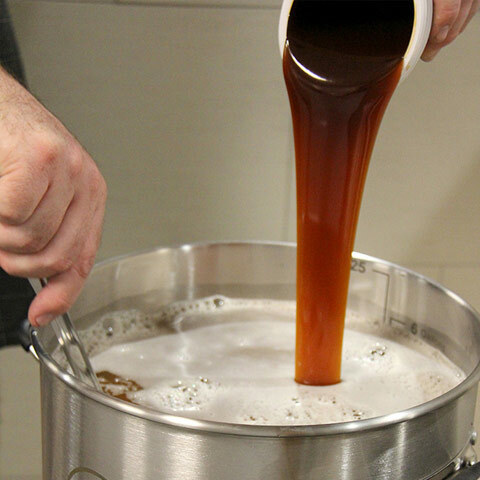 Once a boil is reached, turn the heat off and add Liquid Malt Extract. Stir vigorously while adding the extract to ensure everything is dissolved and nothing gets stuck to the bottom of the pot before turning the flame back on and bringing it back to a boil. Be careful when nearing boiling because of hot break – a brief period of foaming that can easily cause a huge mess. Stirring the wort and approaching the boil slowly is the easiest way to prevent boil over from hot break. Once the boil is reached, pitch your 30 minute hops and start your timer. This is a great point in the process to have a beer. With 60 seconds left on the timer, pitch your one-minute hops. When the time is reached, add enough water to get to your batch volume and cool the wort to 65-75°. This can be done rapidly using a wort chiller or you can place the entire pot in an ice bath and wait for it to cool down. 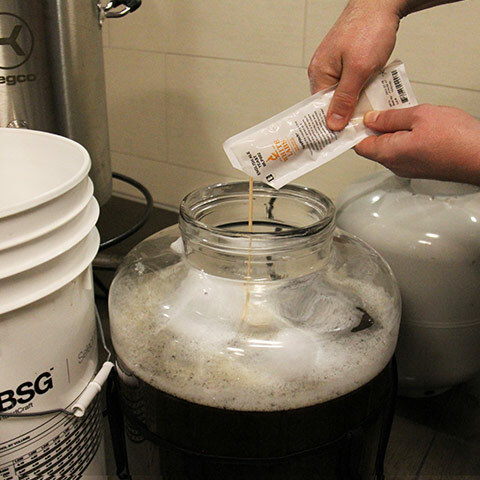 When the proper temperature is reached, transfer the wort to your primary fermenting vessel and pitch yeast. We here at the Beverage Factory have found that fermenting at 68° has yielded the best results for this beer. Ferment for 10 days in primary before moving on to conditioning. Try our Blond Ale recipe! Home Brewing How-To, Irish Stout, Recipe. permalink.